MANILA, Philippines – University of the Philippines' bid for a Final 4 spot in UAAP Season 81 came to a stuttering stop on Sunday, when they were stunned once more by an upstart National University team. Tipped to be a championship contender in Season 81, the Lady Maroons instead failed to even make it to the semifinals. The death knell was a five-set loss to the Lady Bulldogs on Sunday at the Mall of Asia Arena – the second time this year that they had lost to NU in a match that went the distance. UP head coach Godfrey Okumu did not bother to mince words when asked about their campaign. "It's a bad finish," said Okumu, who is in his second season as UP's head coach. "We started well, [but] the finish is not good." "I think we're a good team," the Kenyan coach added. "But we did not play to our potential." The Lady Maroons' potential was in full display in the preseason: they memorably ruled both the Premier Volleyball League Collegiate Conference and the Philippine Superliga Collegiate Grand Slam. Those two titles in the offseason, along with their talented roster anchored by Tots Carlos and Isa Molde, led UP to be tabbed as surefire Final 4 contenders. For a time, the Lady Maroons lived up to the preseason hype. They won three of their first four assignments, including an impressive five-set win over defending champion De La Salle University. Back-to-back losses to Ateneo and NU sent them crashing, but a win over Adamson and a straight sets demolition of La Salle to open the second round again showed that UP was capable of being the best team in the UAAP. Unfortunately for the Lady Maroons, they were unable to build properly on their remarkable triumph over the Lady Spikers. Rather than ride that momentum and go on a winning streak, they proceeded to lose four of their next five assignments – and the final straw was that loss to the Lady Bulldogs. "If we would have played to our potential, then we would be talking about a different thing," said Okumu. The coach struggled to explain the reason for their costly defeat, one that saw them fall behind by two sets, rally to force a decider, only to falter in the closing stretch once again. The Lady Bulldogs, a team anchored mostly by rookies, seized a 25-21, 26-24, 17-25, 23-25, 17-15 triumph over the veteran-laden UP squad. That loss dropped the Lady Maroons to 6-7, and sent University of Santo Tomas and Far Eastern University to the semifinals. "It's kind of not real when you win two championships (in the preseason), then you cannot make it to the Final 4," admitted Okumu. "Like today's game, we left it to chance. We had chances to win any games before this one, but I'll just put it in one word – luck," he added. "Maybe, luck is just not on our side." Okumu stressed that in terms of talent and skills, his team is not lacking. Indeed, they feature one of the most explosive scorers in the UAAP in Carlos, a tremendous all-around player in Molde, and a veteran playmaker in Ayel Estrañero. UP also boasted of a deep bench: for the bulk of the season, Marian Buitre could barely get minutes thanks to their glut of scoring talent. Even against NU, when Buitre struggled, Okumu had the luxury of bringing in Rosie Rosier from the bench, and she wound up scoring six points. "Sometimes, it's not about skills," Okumu noted. "It's only luck and patience that brings a lot of difference to a team." 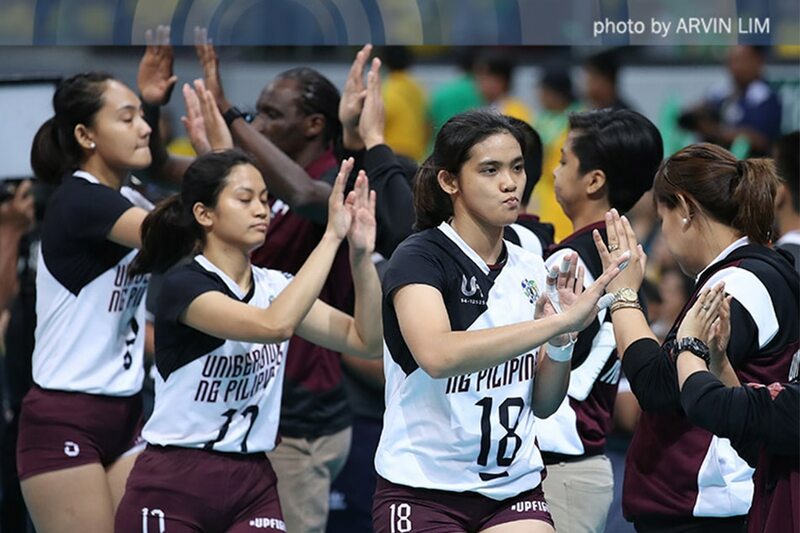 Okumu did hint at "many factors" that affected the Lady Maroons – factors that hindered them from reaching their full potential during the UAAP season. 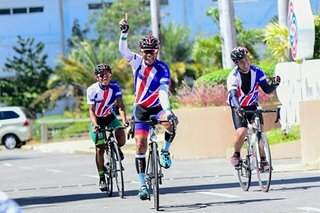 The coach is hopeful that these can be resolved before they march into battle next year, as he acknowledged that they were unable to work on them during this season. "I hope coming up to the next season, that we'll see a new UP," he said. In the meantime, all they can do is try and end a lost campaign on a winning note. The Lady Maroons have one more match left – a date with also-ran Adamson University on April 27. They had been hoping to win their final two games to try and force a Final 4 playoff, but that is no longer possible. "We wanted to give [the seniors] a good send-off by playing in the Final 4, but luck was not on our side today," said Okumu. "The only thing I can say is, we want to give them a good send-off by winning the last game, because this is for them."